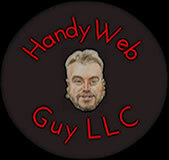 Web Design - Handy Web Guy LLC "At Your Service" - Custom Web Platforms Built Just For YOU! Please both client and visitor. Handy Web Guy LLC can build you a site, no matter the complexity and depth of the details. We have 16+ years of experience with design and know how to build sites not only pleasing to the client but much more importantly their visitors. We create sites with repeat and retention visits in mind. This is the Seattle Latino Metropolitan Chamber Of Commerce website.